Le Curvy Kitten: HATTY New Year! Aside from my extensive collection of lingerie I'm also a bit of a hoarder of hats. 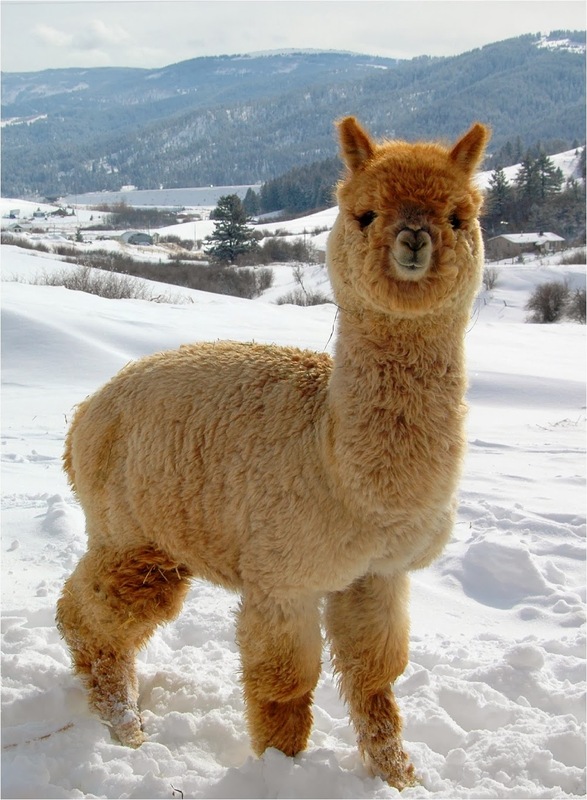 Being a total wuss who feels the cold at the very sound of the word 'winter', they also serve a more practical use. My 'hatspiration' is definitely Gwen Stefani who rocks a slouchy beanie like nobody else, see? I adore this woman! 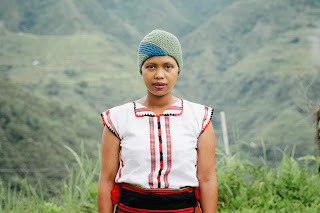 Anyway, I was recently contacted by Ricefield Collective who offered me a hat of my choice in exchange for a blog post, which I naturally didn't refuse! 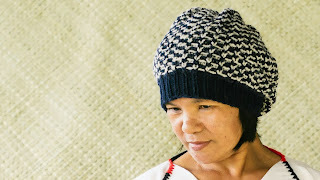 I chose the simple 'Dreamer' hat in Peacoat, a navy blue and off-white knit. Ricefield Collective hats and accessories are hand knitted by women in the Ifugao region of the Philippines. 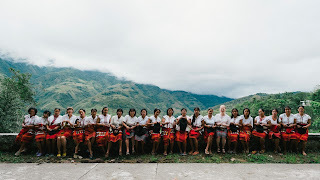 The idea was born when Meredith Ramirez Talusan visited Ifugao in 2011 and learned that locals were being forced to abandon their communities in order to seek higher wages in larger cities. Meredith then decided to help the women by teaching them to knit, the products of which they could then sell on to tourists to supplement their income. 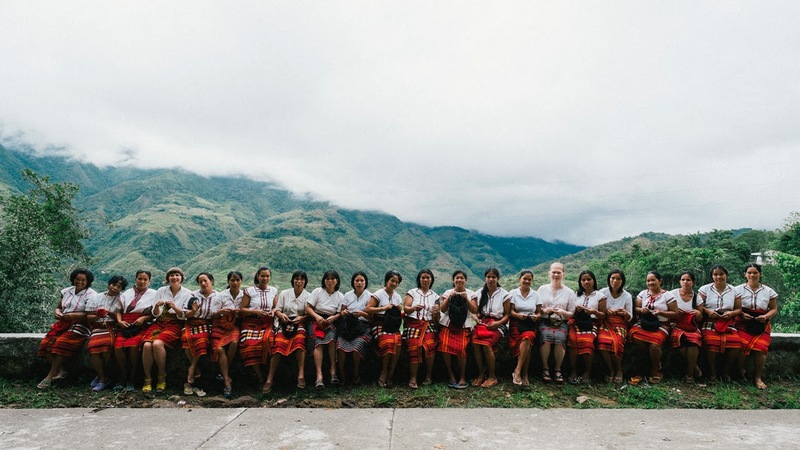 Ricefield Collective successfully funded their project via a Kickstarter campaign in April 2011 and thus, an Ifugao knitting school and wonderfully ethical company was born! My hat was beautifully packaged in a cloth dust bag with a photograph of the lady who'd knitted it! I loved this idea as it somehow made me happy knowing it wasn't made by a faceless machine and that someone who had spent hours hand knitting that very hat I was holding! Thank you Maricel! Quite different than my usual reviews, and much more straight forward! I have quite a small head so most 'loose fit' beanies are baggy enough to keep me happy, and with it's soft blend of premium American wool and Alpaca wool it's comfortable and warm to wear. Thanks for your wool sweet Alpaca! What's a blog post from me without at least one self indulgent shot?! I see Ricefield Collective almost as a charity. 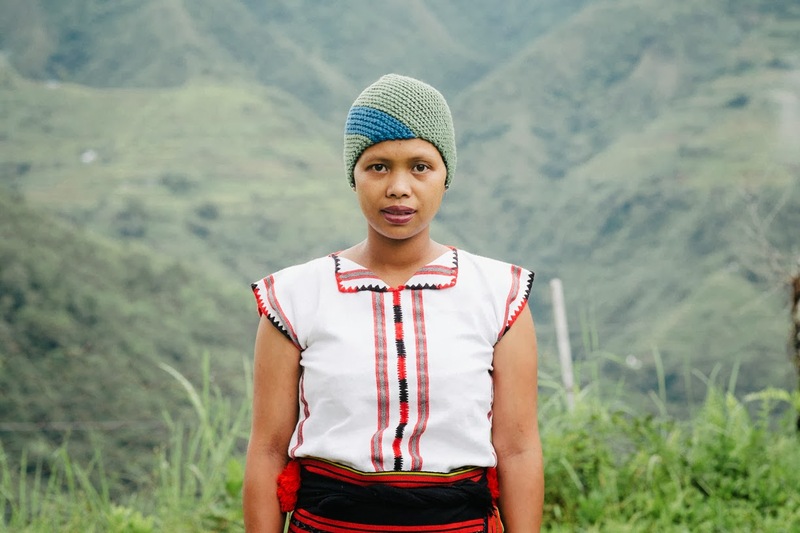 You're donating to a good cause to empower a group of women to stay on their ancestral land, the Banaue Rice Terraces (a UNESCO Heritage Site) AND you're getting an awesome, hand-crafted hat to boot! I would have been disappointed if you hadn't included a "selfie" modeling the Ricefield Collective Dreamer Hat, even though I love seeing your red hair. The hat looks nice and warm and your makeup looks beautiful.